In celebration of their joint birthday, this couple’s reception re-created the legendary Copacabana Club. 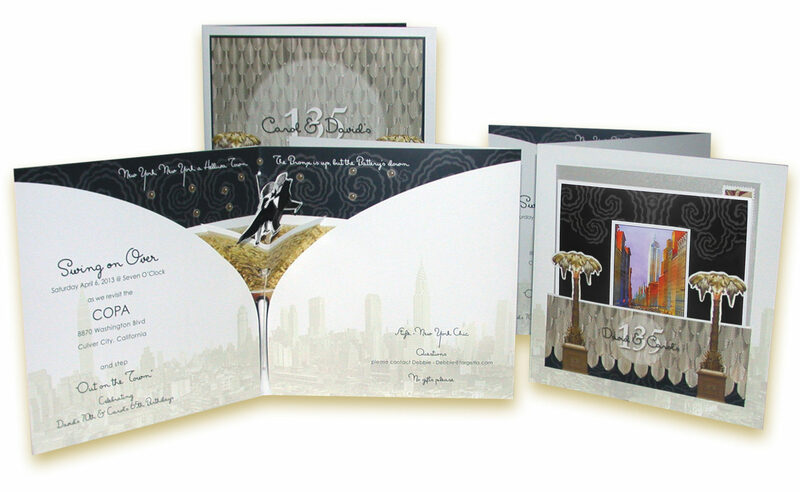 Likewise, our invitation captured the glamour and elegance of 1930s New York. To get guests in the swing, a foldout construction pops the dancing couple up and spins them gracefully as the invitation opens. Just like Fred and Ginger, they’re dancing on air.